Some online reward portals and paid survey sites offer Figure Eight tasks (previously known as CrowdFlower tasks) as an extra way to make money. It can be a great way to make some extra money, but there can be big differences in what you can get out of doing these tasks depending on the site you take them through. 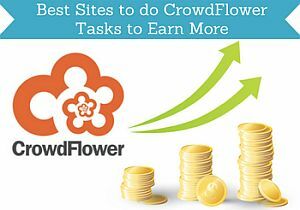 I have tested MANY survey and get-paid-to sites, and in this article, I will share what the best sites to do Figure Eight/CrowdFlower tasks to earn the most are. What is Figure Eight/CrowdFlower tasks? Let us first start with clarifying the name as this can be a bit confusing. The official name is Figure Eight. The platform however started with the name CrowdFlower, and many people still call these tasks for CrowdFlower tasks. But whether you hear about Figure Eight tasks or CrowdFlower, it is the same platform, but the official name is now Figure Eight. So I will also be calling it this in the rest of the article. The company was founded in 2007 under the name CrowdFlower. In 2018 it changed its name to Figure Eight. It is a company that offers you to do simple online tasks that you can do whenever it fits into your schedule. Examples of tasks that I have done are to record google auto suggest terms, categorize product names, and find company information. Before doing any tasks, there will be a description, so you will know exactly what to do. You need to be a member of a portal that is connected to Figure Eight to be able to do the tasks. This is where the survey sites or get-paid-to sites come in. Several paid survey sites are not only offering surveys as a way to earn money but also other opportunities like for example Figure Eight tasks. It is also through the survey sites that I first heard about Figure Eight (at that time I however heard of it as CrowdFlower), and I am now regularly using it as a way to increase my earnings. It is quite simple. As mentioned above, you just have to be a member of an online reward portal that offers Figure Eight tasks (below I will go into the best portals to join for this). Then click the section with tasks, and you can see what tasks are available to you. At first, there might not be very many jobs for you, but as you start taking tasks, you will start building trust, and you will start being offered more jobs and higher paying jobs. You start on level 0, and then you can work your way up to level 3.
Who can get paid for Figure Eight tasks? One of the really great things about Figure Eight is that it is not restricted to certain parts of the world. Everyone can take these tasks. Many of the tasks will be available for all no matter the location, but there can also be tasks that are only available in certain countries. One great thing about survey sites that offer these tasks is that sometimes the opportunities to do paid surveys are limited in some countries, but often the Figure Eight tasks will then be available as a way to earn. So it is a great feature to have for the survey sites. 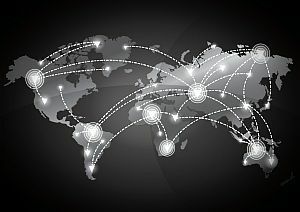 Just remember that you are not allowed to use a VPN for Figure Eight tasks or any other software that tries to hide the location of your computer. You can get banned for doing this, and many survey sites will also detect if you use a service like this and either give you a warning or ban you without warning. It is really difficult to say exactly how much you can make on Figure Eight tasks. It really depends on your effort. In general, you should however not expect to be able to make a living from it. To get the best chances to earn the most money there are a few things that are important to know. First of all, it can make a difference what platform you take the tasks through as some of them offer really nice bonuses, but I will get more into this below. Secondly, be sure to do the tasks properly and be patient in the beginning. When you do tasks properly, and as you do more, you will start building trust, and your level will increase. This can have a big impact on your earning possibilities. In the beginning, you will most likely only get few and very low paying jobs. But if you do these properly, your rank will quickly start moving up, and you will get more jobs and higher paying jobs. In time, you can become what is called a skilled contributor. This will give you a lot more tasks, more complicated tasks, more responsibility, and more money. So if you want to make money on Figure Eight tasks, be patient in the beginning and do what needs to be done to get a higher rank, and then your possibilities will increase. And find a good portal to take the tasks through as well to get the most benefits. The portal you choose to take Figure Eight tasks through can have an effect on your earning possibilities. In most cases, what you will make from the tasks themselves will be the same. But there are other aspects that can make it worth more to do the tasks through certain portals compared to others. For example, does a portal like Points2shop offer Figure Eight tasks, but due to the very confusing design, limitations in rewards and no chance of getting bonuses for tasks, it is a platform that in my opinion is NOT a good option. The 5 platforms below are however all good options, and the overview will help you find out exactly which one suits your preferences the best. ClixSense is one of my favorite survey sites, and it is also in the top when it comes to the opportunities with Figure Eight tasks. In addition to tasks and surveys, you can also earn by taking offers, referring friends, and by having a certain activity every day you will get a daily bonus. When it comes to Figure Eight tasks, ClixSense offers some great and very high bonuses compared to other platforms. First of all, you will get a $5 bonus every time you have completed tasks worth $50. ClixSense does, in general, give a good amount of opportunities for most countries, and you can sign up no matter where in the world you live, and you can easily earn enough to get a payout as the payout threshold is only $10. PrizeRebel is another of my favorite reward portals and survey sites, and it also offers Figure Eight tasks. In addition to the tasks, you have really good opportunities to earn money on surveys, on offers, free promo codes, by referring friends, by playing games, and by participating in free contests. The great thing about doing Figure Eight tasks through PrizeRebel is that you automatically participate in a contest when completing tasks. There is a new contest every 2 weeks. The top 10 people that do the most tasks, will get an extra reward. It is not a huge reward and not very far from the bonuses on ClixSense, but it can be a great way to earn a few extra bucks if you are doing many tasks. Because PrizeRebel in general has many good earning opportunities, it is a great platform to join, as it is easy to earn enough to get a payout. The payout threshold is only $5, and you can get paid through PayPal, which is my personal favorite payout method on survey sites. So by combining tasks with other earning opportunities on the platform, it can give some nice extra money. Be aware that except the tasks, some of the other opportunities, like for example paid surveys, are mostly for people living in the US, UK, Canada and Australia. So if you are not from one of these countries, there might be limitations in the other opportunities. It is actually also possible to take the Figure Eight tasks directly on Figure Eight’s own portal. Be aware that when you get to the portal the logo will still say “Crowdflower”, which can be a bit confusing if you are not aware of it. It has both advantages and disadvantages to use this option in my opinion. The advantage is that it actually in many cases gives you a little higher rewards. It will not be a huge difference, but maybe a few cents extra per task. The reasons it is still not at the top of my list is that overall you can end up earning more on certain other sites, as the sites at the top of this list give you the chance to earn bonuses as well. The Elite Figure Eight site is in my opinion also not so user-friendly. If you would like to go for the bonuses, and if you want chances to earn in other ways than only by taking the tasks like by for example taking surveys, taking offers, watching videos, etc. then the sites above are better options. If you are only interested in taking the Figure Eight tasks and are ok with the usability not being among the best, then joining directly on the platform itself can be a good option. Gift Hunter Club is a pretty simple but interesting site. It will especially give good opportunities if you are from English or Spanish-speaking countries. The Figure Eight tasks, you will however have access to no matter where in the world you are from. In addition to the tasks, you can also earn money on surveys, by watching videos, by referring friends, and by taking offers. Gift Hunter Club, like the two other sites above, also has a task contest that gives you the chance to boost your earnings. Every week, the top 10 will get an extra reward. First place will get $5 and then down to only 10 cents for tenth place. So really only something that makes a little difference, if you are in the top 3, but still a nice extra chance to earn. In general, Gift Hunter Club does not give as many earning opportunities as the two other sites above. But you can still quite quickly earn enough to get a payout, as the payout threshold is only $2. And it especially a site you should join, if you live in a Spanish speaking country, as the site, in general, has many extra opportunities for these countries. InstaGC has a lot of daily opportunities. You can not only take Figure Eight tasks, but also surveys, earn by downloading apps, by watching videos, by clicking ads, bet on sports game, and more. As InstaGC has a lot of different opportunities to earn, it is a great site to take Figure Eight tasks, as you can combine your earnings. It is however a bit more confusing than the top sites on this list. One thing that is really great about InstaGC is that you can get a payout really quickly as the payout threshold is only $1. Contrary to the other sites on this list InstaGC does not have an extra contest or bonus for taking Figure Eight tasks. But as it, in general, has a lot of earning opportunities, it still deserves to be on the list. As you can see, Figure Eight tasks can give you some nice extra money, but it is worth choosing the right platform to take them through, to boost your earnings extra. To get the best chances to get frequent payouts, it can be a good idea to choose a platform that also offers other opportunities you like to use to increase the earnings. But it is not necessary to do other activities on the platforms if you prefer just doing Figure Eight tasks. In that case, I would suggest to just go for the platform that gives the biggest bonuses. From all the platforms I have tested, ClixSense is the best in this area. You will get a $5 bonus every time you have earned $50 on tasks, which is unique. And on top of that, it gives some really high bonuses, if you end in the top 10 weekly contest. But the other sites on this list are great as well, and a lot of it comes down to personal preferences, the country you live in, and the payout methods you prefer. If you have any experiences with Figure Eight tasks and good sites to do them on, or if you have any questions, please leave a comment below. Would love to hear from you and hear about your experiences as well. Hello, i would like to ask if i have to choose a certain site to perfom the tasks metnioned above.? Would it be possible to register at all the sites and perform tasks from all of them? Yes, you have to choose a specific site to take the Figure Eight tasks on – you cannot take the same tasks on several platforms. Hello, I’ve been using Neobux as a third-party website to do Figure Eight’s tasks, but now I realized (thanks to this article) that is possible to earn money directly from their website, and payment comes from Paypal, which is highly convenient for me. I did log into Figure Eight’s web, but when I try to do a tasks it says that’s impossible because I’ve been active in another rewards site. Now I want to work only in the main website and not in Neobux. What can I do? glad my article showed you a different and better way for you. I would suggest you write the support of Figure Eight and explain them the situation. Hopefully, they will then be able to fix it. And feel free to keep me updated about how it goes. how do one get tasks and paid how much after how long? You join one of the platforms on the list above. Then you will right away get access to the tasks. How much you get paid depends on the task. In the beginning, the pay per task will not be very high, but as you take more, you will eventually be able to qualify for higher paying tasks. How do I understand which task for level up? The level will depend on your accuracy. So it is about doing the tasks you take as accurately as possible. You can also try to contact the support of your chosen platform to take Figure Eight tasks through and ask them if there is anything particularly on their platform you need to be aware if. On ClixSense they have a section in the FAQ section where there are a lot of explanations about how the tasks work. Try to go over that – it explains all you need to know. how will I know if a task is included in the level up stats, because most of the tasks given at clixsense are not included in level up stats. how will I know if a task is included in the level up stats? The tasks on ClixSense is usually the same tasks as you can find on any other platform that offers Figure Eight tasks. But if you are having problems with it, I would suggest you to contact ClixSense’s support. They are usually very fast at getting back to you and very helpful. I’d already submitted a ticket but it’s been a week now and there’s still no reply from them, are all of the tasks for level 0 in clixsense not included in level up stats sir? I am not a hundred percent sure Jazz so cannot really give you a definite answer. ClixSense’s support usually answers quickly so if you have not heard back after this long, I definitely think you should try writing them again and see if your ticket got lost. Also, be aware that there is a forum on ClixSense and here there also is a specific category just for tasks. Maybe you can also find some good info here. Sorry I cannot give a more accurate answer but hope this helps. Thanks bro, I’m still waiting for their reply. You are welcome Jazz. Hope you hear back soon and if not just try to write them again. Hi Mikael. Will I always get email notifications from survey sites whenever there is a new survey? It depends on the survey site. Some send out emails and others do not. So you need to check on the specific site. Why nobody talks about Elite Figure Eight? Figure Eight was publishing their task themselves and paying people more than other gpt sites like clixsense. Is it still active? At some point, you had to join another site to be able to take the Figure Eight tasks. I just looked into it, and difficult to see on the site if they at the moment offer you to join directly on the site. I will definitely look more into it and test if it is possible and what the best way is. yes elite.figure-eight is active and they are paying more than any other gpt sites.and the most imp part is that they are paying through paypal and u can request payment till tuesday each week as on each wednesday payment is processed for the entire week and till friday ur payment will be in ur bank account.and i am very happy to tell u that i am getting some good amount of money in my bank each week. That is great to hear. Thanks for sharing Karanpreet. I will definitely look into this. There is not as such a way to get a badge and get to the next level without doing the tasks. If you do the tasks accurately, they should count towards improving your level, when you have done enough. If there is a problem and it does not count at all, I would suggest you to contact the Figure Eight support and see if there might be a bug in the system. It shows a black icon beside the task when I check job history. And that icon says not included in level stats. Not all tasks will not count towards your level stats and then the black icon will be there, but there should be a lot that also does. Can I ask you which platform you take the tasks through? Maybe if you try a different kind of tasks? If none of the tasks you are offered counts towards your level stats, I would suggest to contact the Figure Eight support and ask them why – maybe they can give an answer about your specific account. it means that you were expelled before with the same job. Hello, are there any sites like crowdflower/figure eight that people 13 and up can do? I have made a list of survey and get-paid-to sites for teens you can check out. Maybe you find some of these interesting. Some of the sites on the list are available from you are 13. Be aware that most of them do however require your parents’ consent to join, if you are below 18. If it is ClixSense you have joined, I would suggest you to write their support and ask them what to do. They usually get back to you very quickly. Which sites have the best earning opportunities depends a lot on the country you live in. I have made a list of the best survey sites in different countries you can check out. If you want to make $20 per day, you should however join several sites to have more opportunities. How good your chances are on making this per day again depends a lot on the country you live in. There are not many sites that offer Payoneer as a payout method yet. But a site that is great and offer this is ClixSense. I hope more of the best sites will soon start offering this method as well. Have you tried bitfun? It is a bitcoin fausit site that has surveys and also has a crowdflower thing. I was just wondering if you thought it was a good site to use for crowdflower. Also I’m not sure if I only get paid in sitoshi (bitcoin) or if i also get £s, any idea? I do not know bitfun, but I will defintiely check it out soon. But at the moment, I can unfortunately not tell you what I think about it. What is your opinion of QuickRewards? I did not see it on your top 10 list. Do know they have Crowdflower though a 3rd party called Personaly. Thanks for your suggestion. It looks like I cannot enter QuickRewards from where I live, as it seems to be only available in a few countries. So I can unfortunately not test it to see for myself how the options are on this site. If you have any experiences with the site yourself, feel free to share them here. I am mainly focusing on survey sites, and have also therefore in this article focused on sites that offer paid surveys as well as CrowdFlower tasks. I have tested Neobux at some point, but must admit I did not like it too much. I am in general not too crazy about sites that mainly offer paid-to-click ads as a way to earn. But But thank you very much for the suggestion and I might look into Neobux again at some point. Hi, I am using neobux from quite some time now for doing crowdflower tasks and for crowdflower tasks they are giving a bonus of 0.18 cents for each 1 dollar earned from doing tasks which I think is quite good. What do you say??? Thanks for sharing you experiences. I agree that Neobux has some pretty good bonuses for CrowdFlower tasks. There are however many other things I do not like about the site. For example that it is not very user-friendly, and that it takes quite a bit of investment to earn any real money. That is why Neobux is not on this list, as it is not a site I in general think gives as good opportunities as many other sites. If you want to know more in details what I find good and not good about Neobux, you can check out my full Neobux review. As a previous user of clixsense, I agree with you about this site as it was the site I have got paid from. Honestly I did not try the other sites you mentioned. lI like your site as you simplify this topic. I found some problems on returning to my homeland in Egypt, as they offer less projects and surveys here. Thanks for your comment and for sharing your experiences Yousef. There are definitely some countries where it is more difficult to get a good amount of paid surveys, and in general it seems like it is not to easy in African countries. But many of these countries will still have good chances of doing CrowdFlower tasks, so that can be an option, if you do not have access to many surveys. This is a very insightful and enjoyable read. I personally did not know about crowdflower until I read this article. The tasks seem pretty simple and I’m sure I can take advantage of this to make some extra cash on the side. I will also share this article with friends of mine. Thank you! Thanks for the feedback Johel. Glad to hear you enjoyed the info. Thank you so much for this review. I have been looking for other ways to make a little bit of extra money on the side. I have done a few surveys in the past. But they always had this unreachable minimum amount of surveys that you had to do or minimum amount of money that you had to accumulate before they would cut you a check. Which I believe totally defeats the purpose if you’re online doing surveys and you’re really pressed for money. So none of those of work for me but this when kind of sounds a bit promising. I don’t know if I’ll have time to put into it like I need to as I am a new affiliate marketer so most of my time goes into building my business online but thank you so much for this information. I will be a return reader. And I will be looking forward to reading more from you in the future. Thanks for your comment and feedback Michelle. There are some survey sites that has a high payout threshold and where it will take a looong time to reach it. But there are also many where it is not the case. Many of the sites on my top 10 list have a low payout threshold that can be reached very easily because they also have many daily opportunities to earn. So you just need to find the right sites and then it will not be a problem to reach the payment threshold. But there are definitely also survey sites where it is not worth the time or where there are not very many opportunities, and it sounds like these are the sites you have tried in the past.